Since KitKat apps have been restricted in how they can access and write to the SD card, something that can cause problems for file explorers, music apps and others that need to be able to save data to a card. This Xposed module has no settings, simply installing and activating it will restore things to how they used to be. Chances are your phone has screen of at least five inches from corner to corner. It’s great for many things, but not for one handed use. The One-Handed Mode module takes an idea already seen in some Samsung Galaxy devices and shrinks everything down to the corner of the screen, putting all buttons and controls within easy reach of your thumb. Per App Hacking is another incredibly powerful Xposed module. It gives you control over apps on a app-by-app basis—changing various settings or get to grips with the permissions they use. You can even prevent an app from using wakelocks—this will stop it from keeping your device awake and draining the battery when you aren’t using it. Click here for our guide to using Per App Hacking. Recent changes to the Play Store have seen the amount of information you’re given about the permissions an app requests significantly reduced—right at a time when the number of permissions an app needs seems to be on the rise. 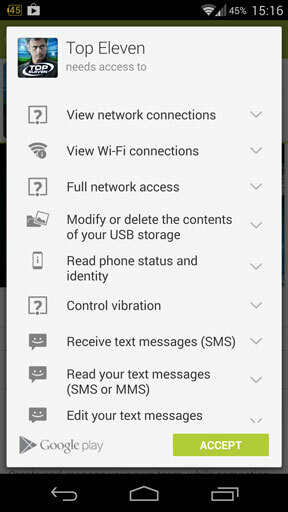 PlayPermissionsExposed fixes this, causing the Play Store app to display every permission that an app needs. It’s information overkill in some cases, but also an eye-opening illustration of what exactly are favourite apps are getting up to. SwipeBack is a navigation mod. It applies a global ‘back’ gesture to the system that works in every app. You create the gesture yourself, consisting of a swipe from a starting point to an end point, and can add considerable speed to the way you move between the screens of apps. 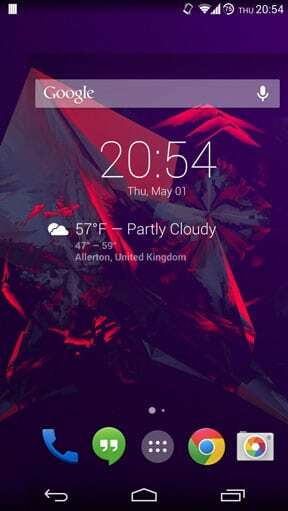 It works on KitKat, and is described as ‘almost fine’ on Jelly Bean devices. Samsung introduced a multi window feature in its Galaxy Note devices, enabling you to open two apps on the screen at the same time—one in the top half of the screen, the other in the bottom. 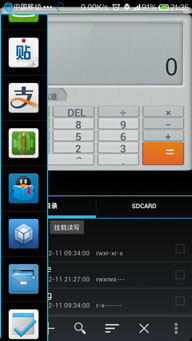 XMultiWindow is essentially a version of that for every other Android device. It works with most apps, although it can be a little glitchy in some cases. Finally, one of our absolute favourite Xposed modules. Notification Mod could not be more simple—it allows you to pull down the notification shade over the lockscreen, even when your phone is password protected. It’s so useful begin able to get a glimpse of what your notifications are without needing to unlock your device, and it’s perfectly secure. If you tap a notification to try and open it you will still need to enter your password or pattern lock before you can get to it.